Get yourself organised for in 2018 with our desk calendar. Printed on luxurious 350gsm (front cover) and 250gsm (inside pages) silk paper with high quality ink to prevent fading Includes space to write your goals for 2018. Each page measures approx. A5 size | 148mm by 210mm Wire spine and cardboard base for placing on desk. 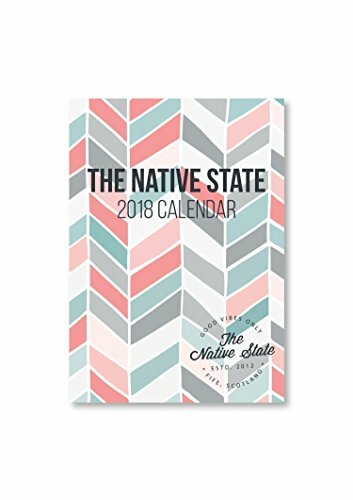 If you have any questions about this product by The Native State, contact us by completing and submitting the form below. If you are looking for a specif part number, please include it with your message.